Where is it? 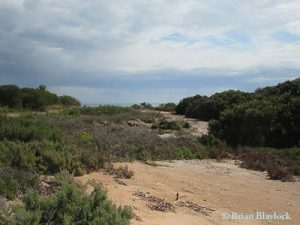 : Weeroona Island is about 15km N of Port Pirie. Access from the Princess Highway is via Causeway Road. Property summary: Total area 77 hectares (c. 265ha with surrounding coast and samphire). Hundred of Frome. 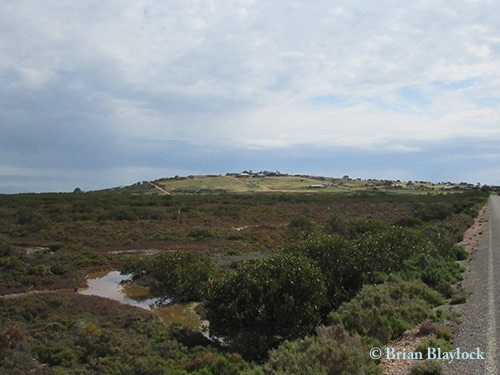 History: In the 1850s, Weeroona Island was considered a prospective port location, and was known as Port Flinders. In 1929 Weeroona Holiday Camp was opened as a retreat for workers of Broken Hill Associated Smelters. During World War II, the island was used as a munitions dump. In recent years the island has been subdivided for holiday houses. Habitat: The northern and north-eastern end of the island is covered in Mangrove (Avicennnia marina). There are extensive samphire flats with Grey Samphire (Tecticornia halocnemoides ) and Austral Seablite (Suaeda australis) between the island and the main Adelaide-Port Augusta railway line. Very little vegetation remains on the island itself but on the lower slopes closer to the coastline and not yet built upon there are some remaining Umbrella Bush (Acacia ligulata) and Quandong (Tantalum acuminatum). Less Common Species: Brown Quail, Australian Pelican, Elegant Parrot, New Holland Honeyeater. Mistletoebird.